The culinary world mourns the passing of chef Paul Bocuse, but his cuisine lives on at his eponymous restaurant in Lyon. : The culinary world mourns the passing of celebrated French chef Paul Bocuse, but his cuisine lives on at his eponymous restaurant in Lyon, located on the Saône about six miles to the north of the city. No matter what anyone says, this establishment has become one of the best among many in the culinary arts field, while the number of good restaurants increases from year to year. But how can we treat it like its peers? After all, we can't help but be influenced by its fascinating past. However, if we concentrate on cooking and ignore the ongoing battle between admirers and detractors, what surfaces is that Paul Bocuse is more a sanctuary for tradition than a launch pad for cutting-edge gastronomy. 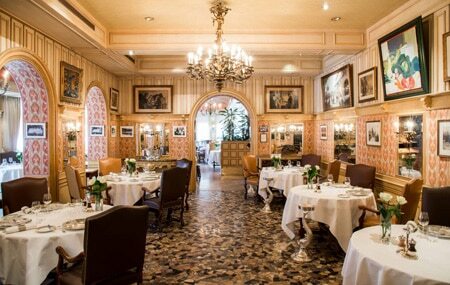 Scores of pilgrims are eager to sample sweet nostalgia in the establishment's posh, bourgeois dining room (replete with chandeliers, paintings, curios, and copper): foie gras, VGE soup, lobster casserole à l’Armoricaine, côte de veau, and a host of other timeless dishes lovingly crafted by Bocuse's team of chefs. The contagious good humor, upbeat interpretations of traditional fare, and wonderful staff at this baroque temple-on-the-Saône are memorable.